When choosing castor wheels for Military applications, it is important to consider the location the castors and wheels will be expected to work, from very hot humid environments to dusty, dry and very hot climates and to extreme colds and very wet weather. Consider the environment the castors will be used in, it is important and should have a long life expectancy. Some applications can be simply to move a single piece of equipment on site and never used again, or you could have an application where there is a high frequency of usage, which would call for a totally different product. Our LMH series castors have many advantages in poor maintained area’s, being semi-fabricated they are strong and require less maintenance then many others design. For applications when longevity is important we would recommend our LMHCI series castors, with either plain bearings or ball bearings fitted with 6204 2RS ball journal bearings. When an application becomes hot we have several phenolic wheel materials ranging from 120°c, 220°c to our highest phenolic wheels 300°c. Water can play a major factor when used overseas for instance, Afghanistan where nights are cold and moister can be found too scorching searing heat during the day, for this we would ask you consider our NGR series with many wheels types to choose from, cast iron, polyurethane on aluminium centres, which are able to reflect the suns heat lower wheel core temperatures. 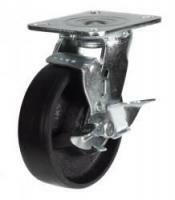 Our WPTABJ wheels have a polyurethane tyre bonded securely to an aluminium centre or core. 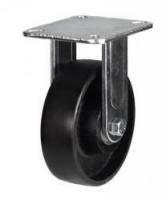 Please use our Search Tool on the right, to find the specific LMH or NGR castors you require. 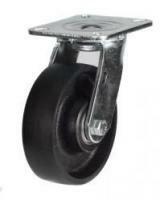 If you would like to find out more about our military castors wheels, simply contact us today.